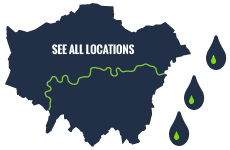 We are one of the most highly recommended plumbers in Forest Gate, East London. We offer expert heating and gas installations across Forest Gate and have built a large customer base. We are highly skilled Gas Safe registered plumbers and can always complete plumbing projects in Forest Gate within budget and on time so give us a call for a free no obligation quote. We have all the correct certification needed to carry out any plumbing and gas work and we always notify Newham Council of any of our work that requires building control and always issue the appropriate paperwork, receipts and invoices and certification as soon as the project is complete. If you are a homeowner, business owner or builder and need a Forest Gate Plumber we can give you a free no obligation quote normally within hours of you calling.